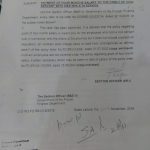 Deputation Policy of Government of the Punjab and ancillary instructions given from time to time by the Government of the Punjab has been combined here. This document is the complete historical view of the deputation policy. The appointment on deputation in Punjab is governed by this deputation policy so it is the key document. Notification No. 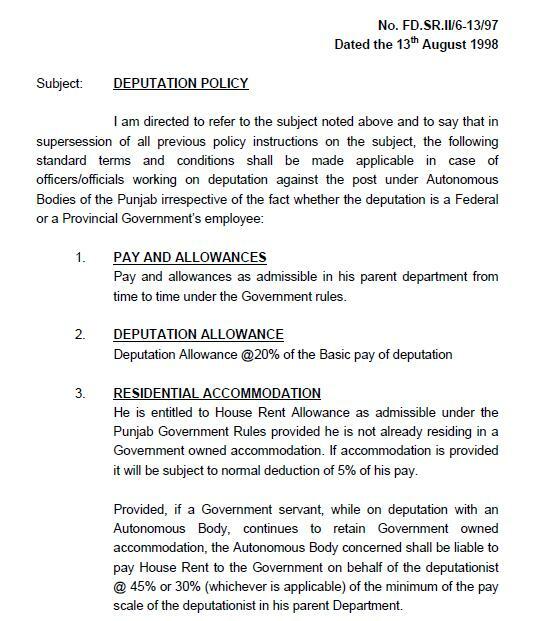 FD.SR.II/6-13/97 dated 13th August 1998 was issued by the Govt of the Punjab in connection with the Deputation policy of the Government of the Punjab. Pay and allowances as admissible in his parent department from time to time under the Government rules. (i) T.A./D.A. during incumbency of deputation As admissible in accordance with the T.A. Rules of the Borrowing Organization, provided these are not inferior to Government rules. (ii) T.A./D.A. on transfer to and back to the parent department shall be paid on the Borrowing Organization. He will be entitled to joining time on his transfer from the Borrowing Organization, and salary for the joining time will be paid by such Organization. A civil servant on deputation who is due to retire from Government service either on completion of 26 years qualifying service or attaining the age of superannuation may draw the encashment of L.P.R. from the Borrowing Organization, if he continues to work during the entire period of his L.P.R./last year of his service, without repatriation of his services. The Borrowing Organization shall also be liable for leave salary in respect of disability leave granted to the civil servant on account of disability occurred in and through deputation service even though if such disability manifest itself after the termination of service. The leave salary charges, for such leave shall be recovered by the civil servants direct from the Borrowing Organization. The Borrowing Organization shall be required to pay pension contribution at the rate of 33-1/3% of the mean of minimum and maximum of the pay scale of the officer plus other emoluments reckonable for pension (subject to verification of audit) to the Government during the deputation period. He will be provided medical facilities in accordance with the rules of the Borrowing Organization provided such facilities are not inferior to those admissible to him under the Government/parent department. He will continue to subscribe to G.P. Fund and such other funds as he was subscribing to before deputation at the rates under the relevant rules of the Government. The deputationist will be provided conveyance/transport as admissible to Government officers of his status/grade under the rule. He will be governed by the provisions of relevant E&D/Conduct Rules, applicable to the service/cadre to which he belongs. The civil servant on deputation will continue to be under the rules making control of the lending Government, in matters of pay, leave pension, G.P. Fund etc. The lending Government accordingly will have a right to determine, in consultation with borrowing organization, the terms which shall not be varied by the borrowing organization, without consulting the lending Government. *The deputationist shall be entitled to any fringe benefit, attached to the post other than those specifically mentioned above. The period of deputation shall not exceed three years. However, Government reserves the right to withdraw/transfer the deputationist at any time without assigning any reason. In case the deputationist, retires while on deputation the period of deputation shall stand expired on the date of his retirement. 2. The above terms and conditions will be made applicable by all the Administrative Departments to its employees and there is no need to refer their cases to the Finance Department for approval. However, if an advice of the Finance Department on the specific issue is required, Administrative Department can refer the case with their self-contained comments on the issue. This post has been delivered by Mr. M. Raza Shamsi. 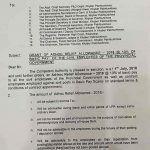 Can a UDC (BPS-11) be appointed to the post of stenotypist (BPS-14) on deputation? Dear Adnan I am not confirm, please read ESTA CODE for the details of the same. AoA. 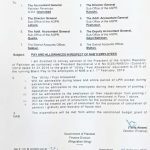 I am working as Statistical Officer (BPS-17) in Federal Govt as Permanent since appointment 2015. Now I want to go another Federal Govt Deptt on deputation as same designation. Any on know any rule for permanent merge in new deptt.........??? APNA BHI KA CONTACT NO CHORO PLZ MERI MISSES KO PUNJAB SE SINDH AANA HA. FSD TO KHI. OR MUTUAL AHASANI SE HO B JATA HA. SHE IS A GOVT TEACHER BS15..
AOA. service deputation parent department to borrowing department same scale ma hi transfer hona chahye ya same cadr ma bi transfer ho skta ha please guide me. 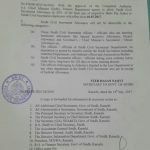 Please muje ye confirm kr den k Deputation person (Grade 1-15) after one year apne parent department se NOC le kr Deputation Department me MERGE ho skta he. Agar aisa he to kon sa RULE Code karna pare ga. Please Help me. Tnx! 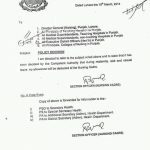 Is there any deputation policy of federal government separately like Punjab Government? 2ndly, I am a medical doctor in BPS 17. I am on deputation from Punjab Government (PESSI, an Autonomous Body) to Fedral Govt.Will i be eligible for health allowance @Rs. 15000/month (as i was securing in Punjab Government in my parent deptt) or for health allowance being given in Federal Government @ one basic pay/ month? Dear Dr. Asif mujhay is ka confirm nahin hay.